We’re celebrating our 30th anniversary this week. It’s been a busy but very satisfying 30 years. We’ve sold over 125,000 guns to tens of thousands of people. I feel blessed to have had contact with so many. I started this with my Dad 30 years ago and now my kids and nephew are working with me. I’ve been fortunate to have some great people on my staff through these years, people that are like family. There are customers that started coming in when they were young, and I remember when their kids were born. I watched them grow up; coming in the store with their Dad on Saturdays, and now those kids are customers too. We’ve come to know so many so well. Believe me when I say that my staff, my family, and I know there are a lot of you that support us. You are the ones that made us what we have become, and we truly appreciate it. 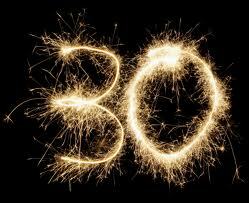 So we would like to take this opportunity to thank you all for being part of our 30 years. We can’t wait for the big 50! AND THE PARTY IS NEXT FRIDAY AND SATURDAY 4/18 AND 4/19 10AM-6PM! HOPE TO SEE YOU THERE.